I'm a bit late to post on this today, but it feels a bit strange to not acknowledge it at all. 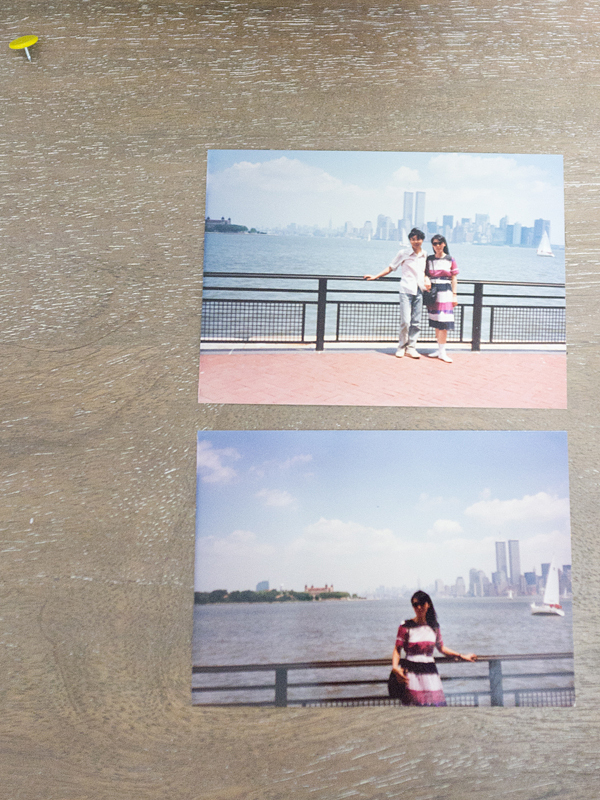 I dug up these shots of my parents in July 1990 across the water (I was two and still in China at that point). I'm grateful we have these memories in pictures. It's hard to believe it's been 10 years already, and it's very sobering to see pictures like these. I actually moved to New York a month after the towers fell. I'm also typing this comment on a flight back from there right now. :) After a quick weekend there, I gotta say, I miss this city badly. good acknowledgement. hold on to these memories. I love how you've placed them on the wooden table.